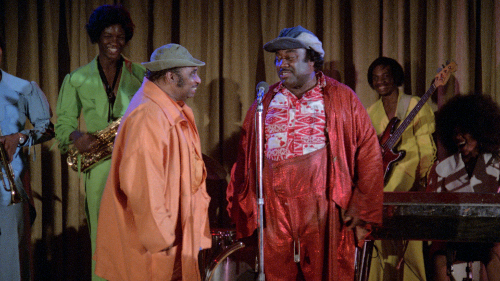 An old blues folktale updated and adapted into one of Moore’s party record routines and joined this time around by Wildman Steve (of the film less controversially retitled as Super Soul Brother), Moore allows himself to be sidelined somewhat by the burlesque-style comedy team of Leroy and Skillet (the former of whom looks like some unholy cross between Al Sharpton and Don King), two low rent ghetto hustlers who get in a pickle with the mob over the opening of their new club. 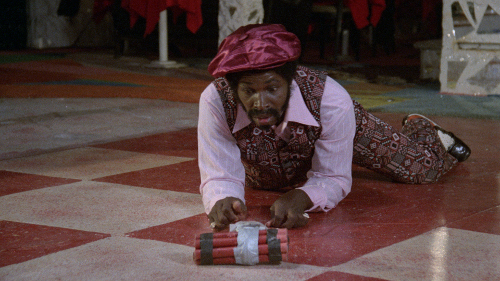 When the two try to ensure the success of their opening week by getting rival comic (and kung fu master, of course) Petey Wheatstraw out of the way, things turn ugly and our hero winds up in hell. 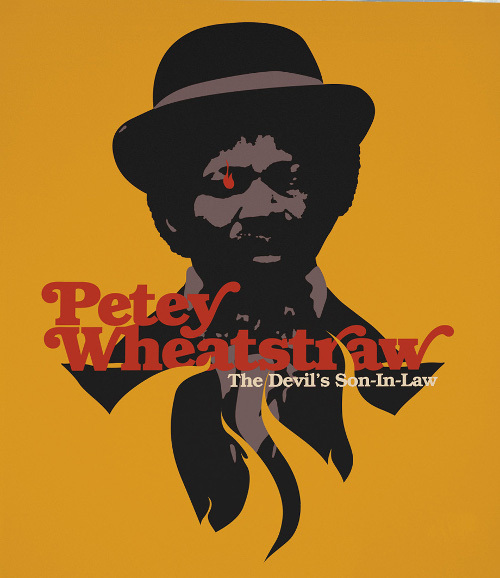 But like the trickster hustler he embodies, Moore’s Wheatstraw cuts a deal with the devil…one he intends to welch on. 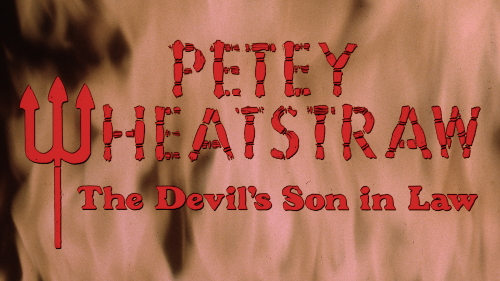 With his mystical magical diamond-tipped pimp’s cane, Leroy and Skillet, the mob and even satan himself are about to find out that you just don’t mess with Petey Wheatstraw! Those pining for the “you are there” ghetto settings, comparative realism (despite all the “supernatural” goings-on) and actual amusing comedy of Dolemite after the weird and obvious comic stumble of the Human Tornado should forget that one ever existed and come running back to check out the far more successful third in the Moore filmography (his second under Roquemore). 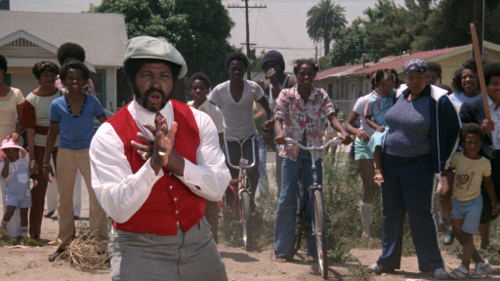 While the Dolemite character is, technically speaking, nowhere in evidence, the fact is that there’s little if any difference between Moore’s vision for the two legendary ghetto “heroes”. Insert a few overdubs, and who’d so much as blink an eye at Dolemite cutting a deal with the devil that he’s just too slick to be held by…particularly as both appear to be self styled kung fu “experts” and jive threads-sporting, perpetually rhyming comedy club MC’s? Extras this time around are part 3 of the ongoing documentary (this time running about 18m) with Roquemore’s sons, a touch of vintage Moore interview footage and “co-editor” Jack Tucker, plus a ghost story about the primary location used and a gross underwear tale to boot (geez, guy…). That’s more or less it, appended by a commentary track (with Jimmy Lynch and some “closing comments” from the late Cliff Roquemore) and (at last!) 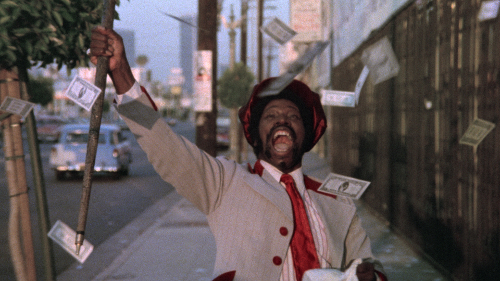 that 8m shooting location tour with the late Rudy Ray Moore that graced all three of the Xenon discs. 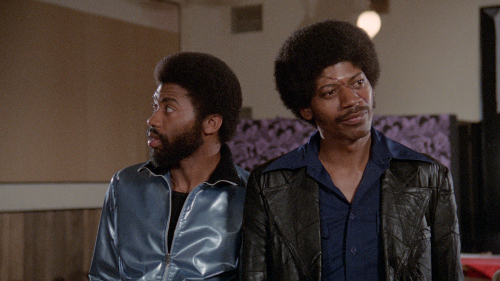 There’s also trailers for the trio of films plus his final oddball 70’s effort Disco Godfather (coming next month). Time and restoration have done nothing to change my longstanding opinion that of Moore’s four 1970’s efforts, it’s the odd numbers that made his name (and retain any lasting cult entertainment value)…the even numbered films being marred by awkwardly incompatible shifts in tone (and in Human Tornado’s case, even setting and locale). Xenon’s DVD runs 1:39:03, but is marked by a general blurriness throughout and jumpiness likely relating to sprocket damage or sync issues. 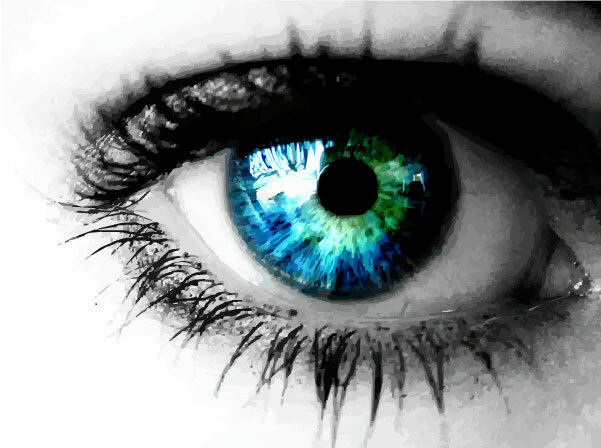 Worse, there’s a slight digital artifacting in evidence, particularly in dark indoor or night scenes or when skimmed at higher speeds. It probably looks the worst of the Xenon Dolemite trilogy. By contrast, Vinegar Syndrome offers an undisputed upgrade running 1:39:36, with a crisp and vibrant picture, stunning color and a nigh-complete absence of the aforementioned flaws from the earlier Xenon release. Even the soundtrack is punchy. 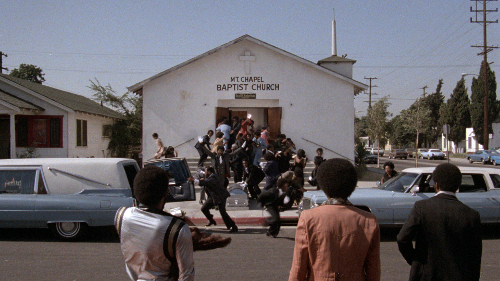 There’s no bones about it – if you like Moore and the original Dolemite, this one’s well worth looking into, both as a film and a decided upgrade of transfer. Hats off once again to the folks at Process Blue and Vinegar Syndrome for their outstanding efforts in restoration of some of the darker corners of 70’s and 80’s film history. You may not always agree with the films chosen…but in terms of pure visual aesthetics, they continually stand head and shoulders above even the most celebrated of competitors in both consistency and quality thereof.